Used up my Plexus making it clean and shiny!! Try the MRA X-Creen Tour on top of the stock windshield. Massive adjustability, and zero turbulence and cuts wind noise in half. I think I’m done for a while......it’s time to just ride and enjoy what is now a very perfect motorcycle. Installed a Two-Brother Exhaust Canister and mid-pipe today (a 20 minute job). No "Power Tip" (yet). Really nice sound out of the box but I haven't yet blasted through my daily 120 mile (RT) interstate commute. If too loud, I can put one of their tips on to quiet things down a bit. The weight difference between the stock can and the Two-Brothers is remarkable. 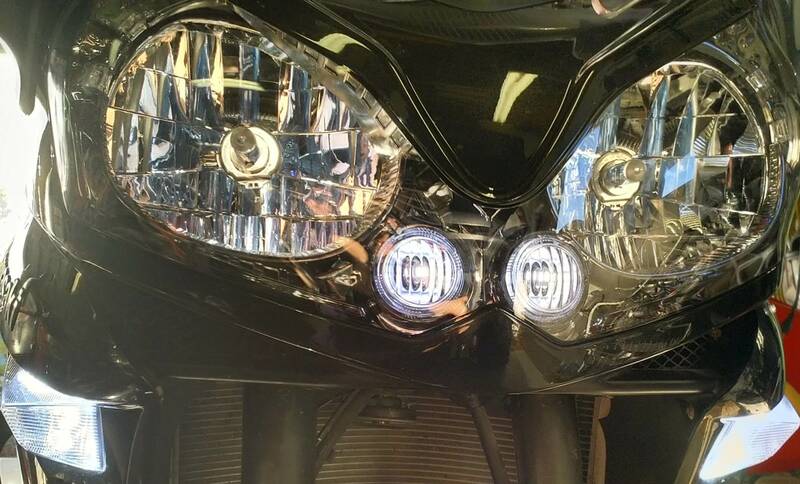 Also, installed the light Brackets (on the forks) that Lee made and shipped out to the group (see accessories forum thread) Really nice brackets. Update - did an interstate blast and this Two-Brothers canister is not loud from the rider seat at all - passenger said the same. No "Power Tip" needed. 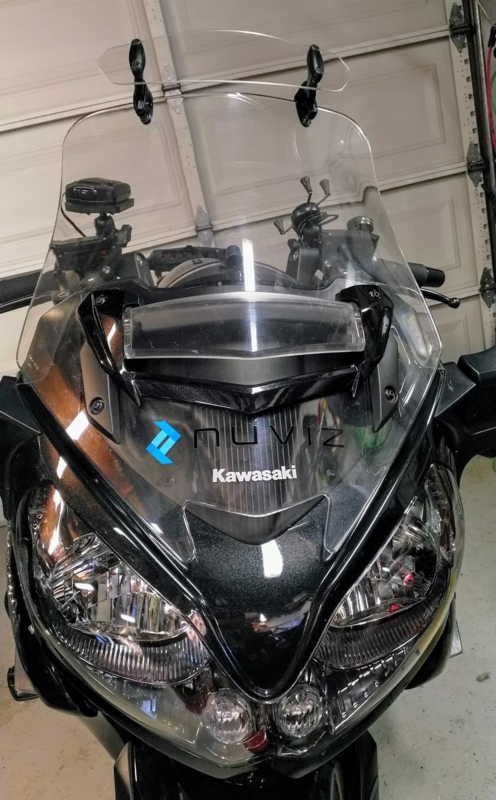 Also, installed a MRA X-Creen Tour (clear) with the stock windshield - a GREAT addition - especially with all the interstate miles I'm running right now. BTW - with the 2018 Mountain Runner Flash, I'm averaging 45.8 mpg doing mostly interstate runs at "significant" speed. UPDATE: Over 500 miles, the AVG Fuel Economy, if you are to believe the computer, has gone up by 1 mpg. Pretty nice bonus. Now averaging 46.8 with the flash and canister combination. Power was ridiculously high to begin with so I can't tell the difference but it sure sounds nice! Installed Murph's bar risers yesterday. Nice difference in the seating position and the install could not have been any easier. Loosen the brake line blocks, pull up some slack in the brake line and cables on each side, install the new risers under existing bars and done. Further, there is no conflict at Left and Right steering locks with the windscreen, a CB standard Tour Dome. and Puig spoiler, no more buffeting, yay! 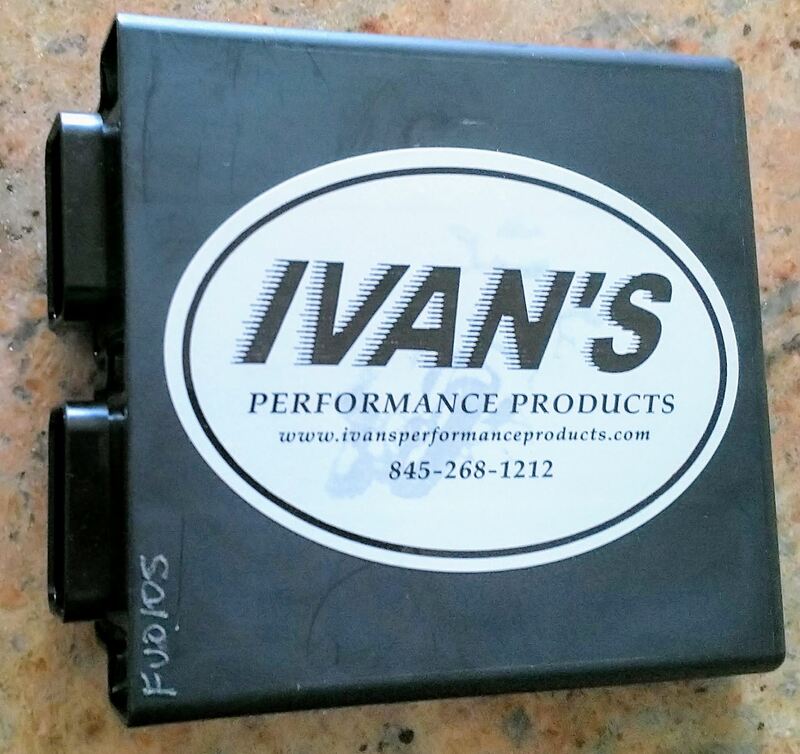 Next ones are to finalize the radar detector wiring and send the ECU to Ivan for re-flash. Changed oil/filter Rotella T6 synthetic. Fram 6017A filter. Also changed final drive lube. Mobil 1 synthetic 75-90w. Next will be new tires and brake pads. 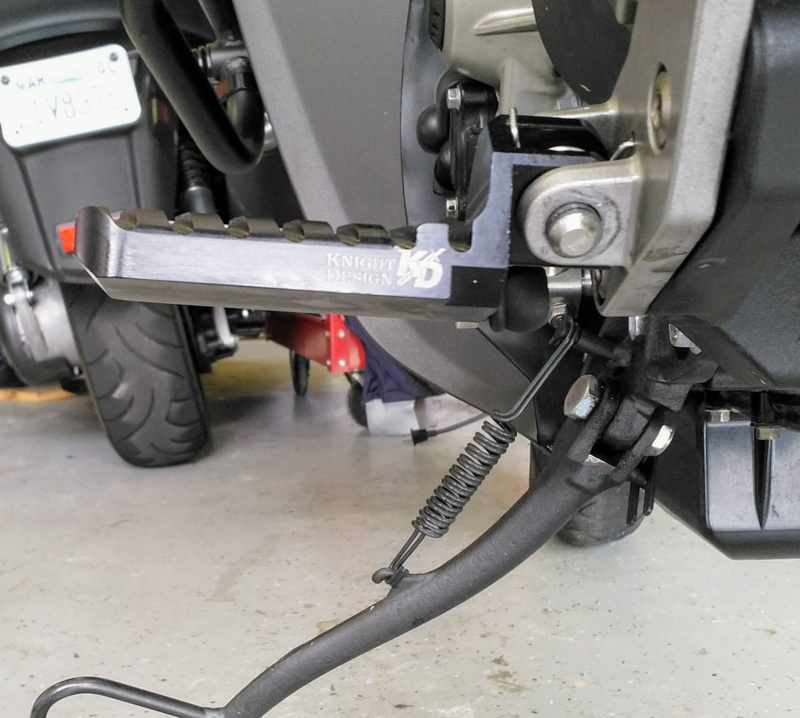 Do you notice any additional vibration coming thru those pegs that don't have a rubber cover? Murph’s wedges and Top Block bars installed today! New CB antenna mount from Phil's Farkels. Shoodaben this smooth ECU flash with the Mountain Runner tune. Added the Kawa badges that I have been obsessing about since I got the Bike painted last month. Finally settled on some Black ones I found on eBay at http://stores.ebay.com/wheelieracing/ that turned out pretty nicely. Much easier to mount than I thought and they appear to be as durable as the factory types. Got 8"x1" set for the Center Fairing, and 5" set for the trunk and front plate behind the screen. $20 for all. Have not found any in Black that say "Concours 14" for the side panels, so if anyone knows of any please let me know. Rode to work for a shakedown, recently installed new brake pads, tires, battery and bled the brakes. want to be sure all is normal. In 2 weeks I head out for my annual Northern CA 5 day trip. I have a blue 2010 and I noticed the blue reflective tape you have on your bike and thought it looked good and a good idea so I ordered a roll of blue on ebay last night. $2 shipped, 2" wide by 10' long. Not bad. Did you also put reflective tape on the side panniers? I'll probably put a strip around the bottom portion of the bags and try to make it look like it was factory. So it can be seen from the rear, side, and front. I like the safety part but want to minimize the ugly. I used red 3M reflective triangles on my cases and top case. I have some blue 3M tape so I am going to the garage right now to see what I can think of. I like the blue tape, have it on my KLR as a tribute to the LEO's. Cleaned it, aired the tires. Put it on the stand for tomorrow's departure to the Carolina Conclave @ 7:00 am. Installed a 2010 ZX14 Header with cats removed and Vance & Hines CS One dual mufflers! Turned out great and only took me about 3 hours. Fits perfect after a few tweeks. Big torgue difference too. the bike went for rear tpm warranty and they put the t31 on the rear for nothing. I'm getting ready for the carving the cumberland. Got my ECU back from Ivan and installed it, switched the yellowhis city lights to LED's and front signals to LED switchbacks ($17 from eBay, let's see how long they last). Put in Murph's "Bearinged up" shifter https://www.murphskits.com/product_info.php?cPath=130_133&products_id=463 and got fresh Pirelli on the front. Now I'm just waiting for my seat to come back from Spencer (this Friday) and I'll be happily on the road again! I just changed oil, and i am using rotella t6. There is a rebate going on right now. the auto parts store where i bought it had 7 dollars in rebate if you send for it.